Considered the best hotel in the world at TripAdvisor’s 2014 Traveller’s Choice Awards, the Grand Hotel Kronenhof excels above the rest. Situated in Pontresina, Maloja, Switzerland, the hotel sits opposite the San Niculò protestant church. For over 140 years, the Kronenhof has been under the care of its founding family, the Gredigs, and it shows in the hotel’s prestige and immaculateness. The origins of the hotel lie in the year 1848 when Andreas Gredig (b. 1806 – d. 1877) had acquired the Gasthaus Rössli (guesthouse) business for his son, Lorenz. The young successor named it “Gasthaus zur Krone-Post”, but later changed the name to “Krone” (German for “Crown”). His entrepreneurial skills in motion, Lorenz eventually constructed additions and merged the existing outbuildings, steadily enlarging the guesthouse and transforming it into an hotel. 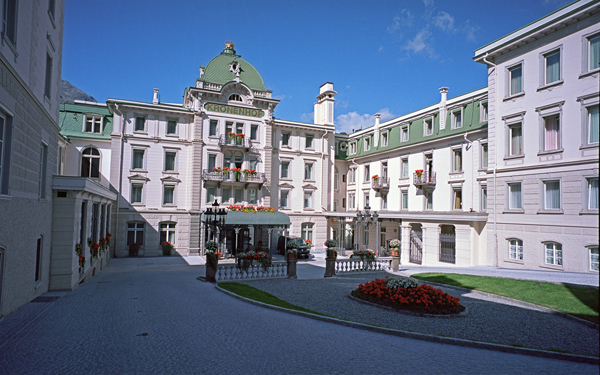 Between 1896 and 1898, the architects Jakob and Georg Ragaz refit the hotel into a presentable, horseshoe-shaped three-winged structure. Since then, a three sided courtyard dominated by a crowned dome still surmounts the main entrance of the hotel. Natural Swizz beauty surrounds the Kronenhof. 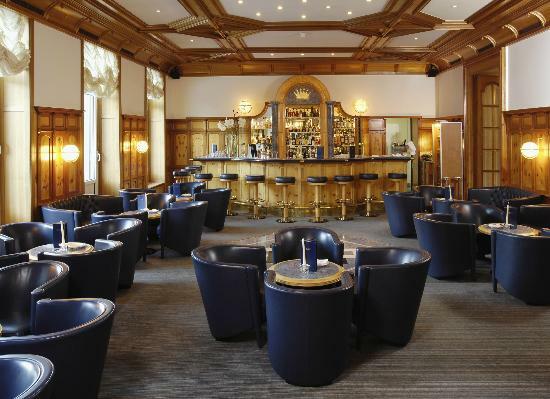 The establishment is conveniently located near the ski slopes as Pontresina is in the mountains. Nearby is the Muottas Muragl route which can be hiked to reach the Alp Langaurd. Available are winter sports such as cross-country skiing, with lessons for newcomers. Local attractions also include St. Moritz Leaning Tower and Lake St. Moritz. The hotel offers transfers from the airport (surcharges may apply). Begin the day with free breakfast between 07:00 to 11:00 am, before sitting down to a complimentary newspaper at the lobby. The children will be taken care as the Kronenhof provides a free-of-charge children’s club and babysitting. Hop aboard the free ski shuttle for a day, hit the slopes, and return to the Kronenhof for a hot meal at the restaurant, or a cold, refreshing drink at the bar/lounge. Additional bits of leisure include an indoor pool and a full-service spa. Meetings rooms, free valet parking, and a 24-hour business service are also among the many features of the hotel. A complimentary continental breakfast is served to guests each morning between 7:00 AM and 11:00 AM. Grand Restaurant – The restaurant specializes in international cuisine and serves breakfast and dinner. A children’s menu is also available. 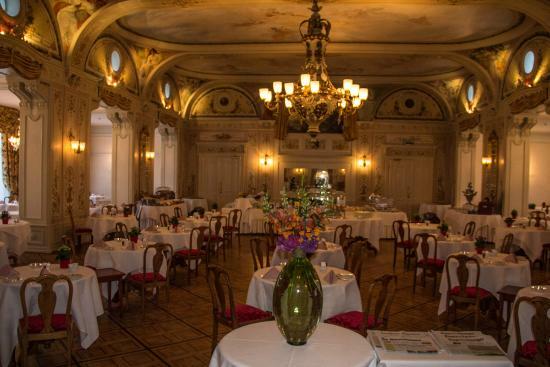 Restaurant Kronenstuebli – This restaurant’s specialty is in international cuisine and serves dinner only. Open every day. Le Pavillon – With a scenic view of the garden, this restaurant specializes in regional cuisine and serves lunch and light fare. Hotel guests can enjoy alfresco dining (weather permitting). Lounge und Bar – This bar offers light fare only. Skiing is not the only available form of sport, as golfing, rafting, mountain biking, and skydiving are the alternatives. Scooters and mopeds can be rented for a decent price. For those who want to take it easy, yoga classes can be taken, hot springs are within reach, and ecotours can be booked. 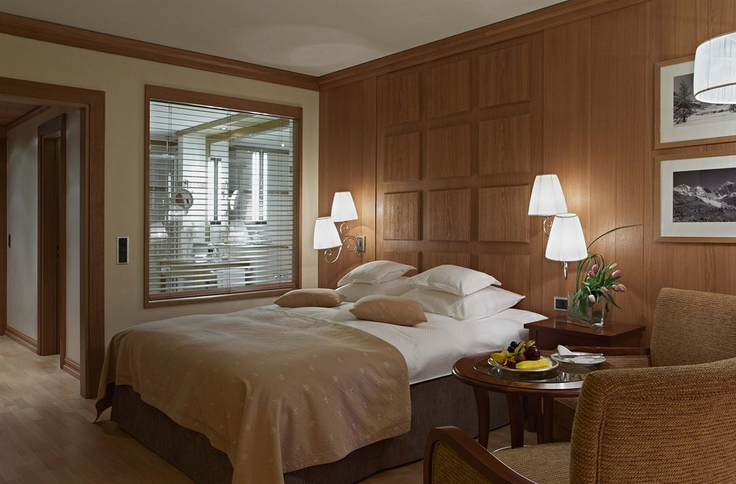 The Grand Hotel Kronenhof comes complete with soundproof rooms, and there are 112 of them in total, scattered across 8 floors. Each room comes with a minibar, DVD player, premium beds, phone, daily housekeeping, private bathroom, designer toiletries, bathrobes, complimentary bottled water, and turndown service. Also included is Wi-Fi, satellite TV service, rollaway/extra beds, in-room safe, and much more. 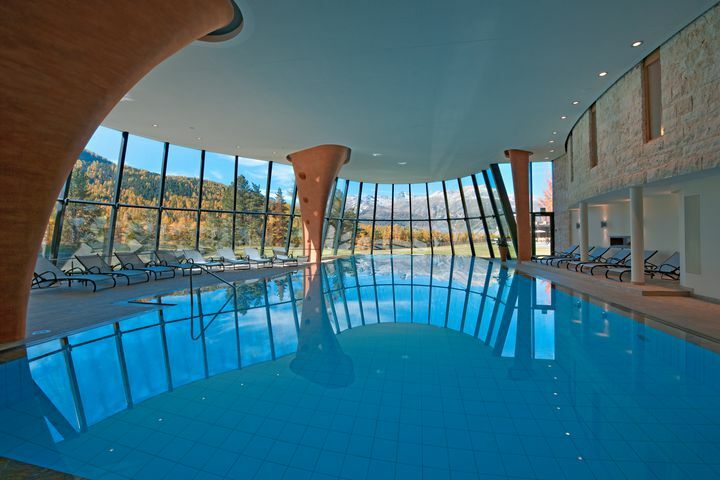 Stunning location, owing to the Swiss mountains. The renowned spa is worth the visit. Wi-Fi connection is only available in some parts and rooms of the hotel. The old-fashioned look might be a little too timely for more contemporary travellers. Some complaints have arisen about the slow service and management. Example for 1 night: £237.84 (2 adults), through Expedia.